As Huawei’s battles in the US snare its founder’s daughter, a new front is opening up across the pond - in France. After the US, Japan, Australia and New Zealand banned the Chinese company’s network infrastructure products and Germany intensifies scrutiny, France is now tipping into unfriendly territory for Huawei. The country won’t ban the company. 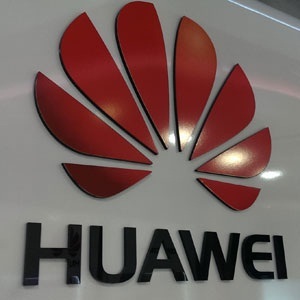 Instead, France, which has safeguards in place for critical parts of its telecom's networks, is considering adding items to its "high-alert" list that tacitly targets Huawei. Bloomberg News spoke with 15 people with knowledge of President Emmanuel Macron’s push for significantly tighter regulation. As French phone companies start seeking suppliers to build out 5G networks, parts of the country’s telecom's infrastructure are being made inaccessible to Huawei through legal and regulatory revisions - many classified. France’s largest telecom's operator, Orange, won’t use Huawei equipment in its 5G network in the country because of "a call to prudence by French authorities," chief executive officer Stephane Richard said on Thursday in a radio interview. "There’s the fantasy, in the sense that they’re Chinese, they are spies; but there’s also the principle of precaution," Richard said.